Today was very good. Got two finals over with before noon and relaxed the rest of the day. 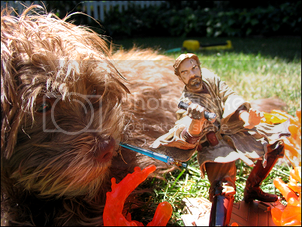 After giving puppy a bath this afternoon, an epic battle ensued: Obi-Wan Kenobi vs. 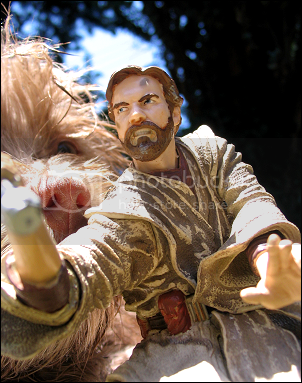 The Wookiee. 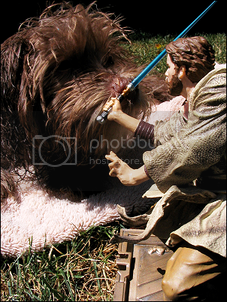 It just goes to show that jedi are no match for freshly washed puppies. Yeah, he should really be more careful around giant puppies.